Chasin' Mason: Why I Chose to Join Beautycounter as a Consultant. I've been wanting to share my "why" for a while, but the right words just haven't come to me. Not because I don't know what I want to say or why I joined the mission, because I DO, but because I am not always the best at expressing the way I feel. I had wanted to do a video to share this information, but to be honest, doing a live video scares me and I'm just no good at editing on a regular video, so here we are. HOW I LEARNED ABOUT BEAUTYCOUNTER. I want to start off by saying that it was NOT my intention to join Beautycounter as a consultant. I had been wanting to try the products for months now and finally pulled the trigger this January. The main item I wanted to try was the peppermint lip conditioner. Yes, a lip balm. I know what you're thinking... doesn't Target carry 100,000 different kinds of those? Yes. But I'd tried what I felt like was all of them and my lips were still SO. DRY. I heard Beautycounter's lip conditioner was amazing, so that was one of my first purchases. Again, this was a few short months ago, back in January. I placed my first order in January, joined their Band of Beauty rewards membership program, was blown away at how fast my order shipped, and received my order in the mail a few days later. I immediately ripped into it because I was SO excited to finally have my first items to try. I barely had the chance to look at everything when I grabbed my lip conditioner and put it on. I didn't notice a huge difference at first, but after a few days of consistent use, my lips were finally getting better! I don't want to go in to the details, but they were basically as CHAPPED as chapped could be. I had just gotten done working outside all weekend in the cold and rain and my lips were wrecked. I've tried every chapstick I could think of, chapsticks infused with essential oils, drinking more water for fear that I was dehydrated, you name it, I tried it. Nothing worked until I got this lip conditioner. At this point, I didn't really know too much about the company except for the fact that I knew that they were a company that focused on safer products... and that they had a product that cured my chapped lips. In February I ordered some more stuff and loved every single thing. Come March, my friend Christine asked me if I wanted to host a social on Facebook. A social is basically an online party where you set up a Facebook group, invite your friends, teach them about the company and the products, and as a host, you could get free stuff. Free stuff from a company I love? Sign me up. So I told her yes and, to be 100% honest, figured that I'd invite some friends, hope even just a handful came, let her educate them on her amazing company, maybe a few would buy stuff, and I'd get some free products. I literally had no expectations. CAN I DO THIS TOO? And then I started to think about it - becoming a consultant myself. Christine had mentioned it before, but I was like "oh no, I couldn't do that, that's not me." I can't do sales. I can't even sell ice to eskimos. I don't know enough people who want to buy these products, I'd be sure to fail. I get insanely nervous in front of a group of people. I hate public speaking. I am not "crunchy". I don't eat all natural and organic. Nobody is going to take me seriously. I came up with every single thing to talk myself out of joining Beautycounter. I am NOT a salesperson. When I worked at Barnes and Noble, I would ask people of they had a member card and if they said no, I'd move on. I hated being "that person". And I think we all know who "that person is". Direct sales/MLMs get a bad wrap. When someone hears you work for that type of company, they want to run for the hills and get away from you as fast as they can. They all seem to have a hidden agenda and just want to push their products, no matter how much or how little they believe in them or believe they work. They just want to make money. It's all about sell, sell, sell. Grow a team, get people under you who sell, sell, sell to make you more money. They become so wrapped up in the sale that you just become another order number to them. Once you hand over the money, they're gone. Until you want to buy something else. And you know what? I HATE those people too. There's nothing worse than feeling like you're just another sale. But you know what? Honestly, if you're reading this, then you know, I am NOT that person. I do not push products. I do not blog about anything and everything just to make a buck. I share items that I believe in, use myself, and love. I could do this. I could educate people. I sat down and I thought some more... I LOVE Beautycounter's mission of getting safer products (whatever they might be) in to the hands of everyone. I loved how effective their safe products were. I thought... I want to tell everyone about these products and this company and tell them how so many skin care products have so many bad ingredients in them that we don't even know about. There are known carcinogens in certain products like diaper creams and shampoos. There are known hormone disruptors in certain products like moisturizers. There are known chemicals in things like mascara, foundation, and sunscreen that inhibit fetal brain development. THIS. This is what drew me in. A few years ago, I actually changed the shampoo and body wash I used on Mason after finding out about some of these things. Yet I didn't make a change for myself until recently. I'm stubborn and know what products I like. But not anymore. I can't knowingly put these toxic chemicals on to my body anymore. Did you know that the US only bans 30 harmful ingredients from being used in the manufacturing of beauty products? Canada bans 600 and the European Union bans 1,400. 30 vs 600 vs 1,400! That's HUGE. And you know what? Our number wasn't even that high until a few years ago when Beautycounter urged Congress to pass some stricter laws. "Decades of studies indicate that serious health issues (including but not limited to asthma, cancer, and infertility) are on the rise and are due in some part to our ongoing exposure to toxic chemicals—whether it’s in the shower, on our commute, while we eat lunch at a local restaurant, or when we clean our kitchens at home. We deserve better, and we're doing something about it. 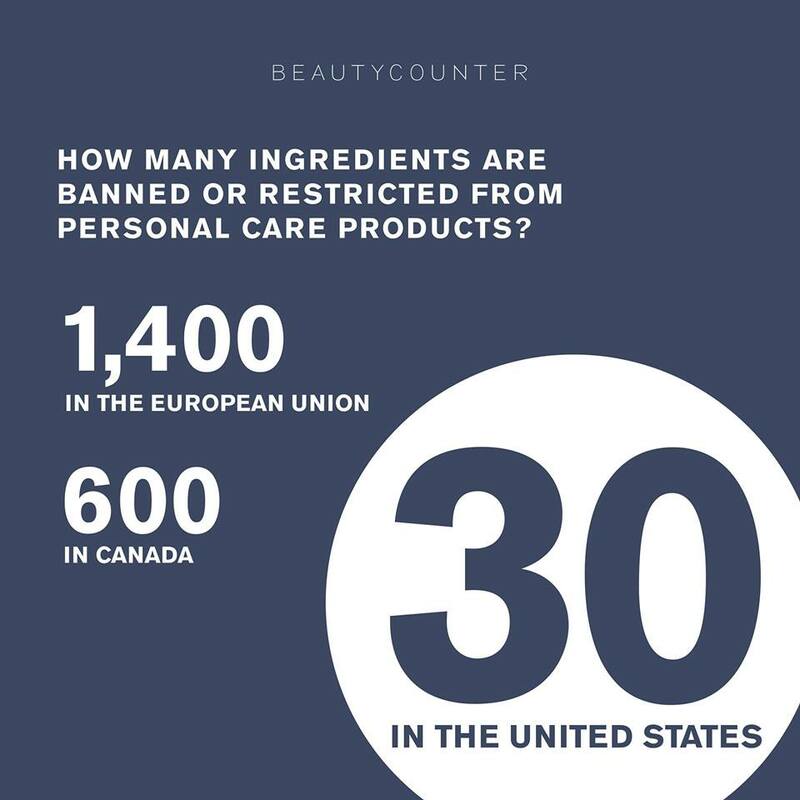 At Beautycounter, we’re committed to a health and safety standard that goes well beyond what’s required by U.S. law: We’ve banned the use of more than 1,500 questionable or harmful chemicals through our "Never List”—all while ensuring our products perform and that they’re as indulgent as any other luxe shampoo, lipstick, or oil in the market. IT’S NOT EASY WORK, BUT IT’S WELL WORTH IT. This is about progress—not perfection. Because every little bit counts." I wanted to be a part of this movement to educate people on making better decisions. 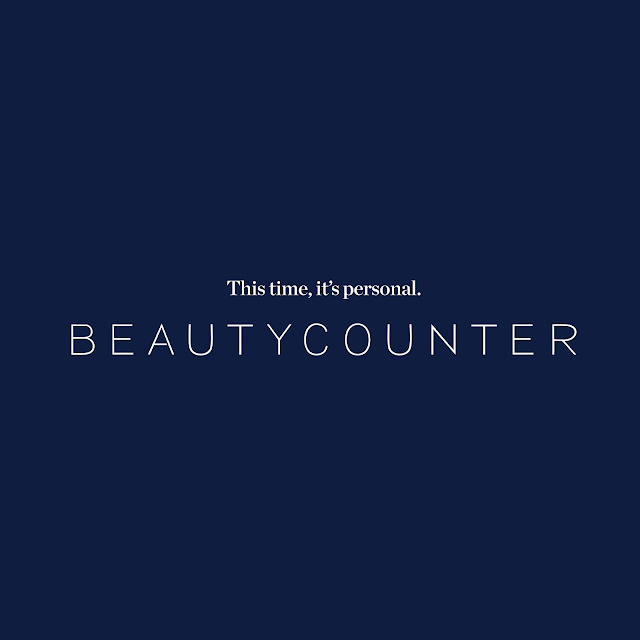 So, I took a giant leap of faith and signed up to be a Beautycounter consultant. This is HUGE for me and VERY out of my comfort zone, but this is a company that I believe in, a mission I stand behind 100%, and products that I love. For those of you who know me well, or for those of you who I hope will get to know me better, I could never and will never recommend anything that I haven’t used and tried and love myself. And this isn't about makeup for me. I've never really been into makeup before now. I wore my foundation, eye shadow, mascara, and a few other things and called it a day. Sure I used a face wash, but who knew about facial masks, night cream, under eye cream, and toner pads? Surely not me. I liked wearing makeup and looking nice, but that was the extent of it. So I definitely didn't join this company to learn about all the options for beauty products. This is about learning, implementing, and doing better. Sure I get to play with fun new products and makeup now. Yes, that is a perk. But it's not everything. 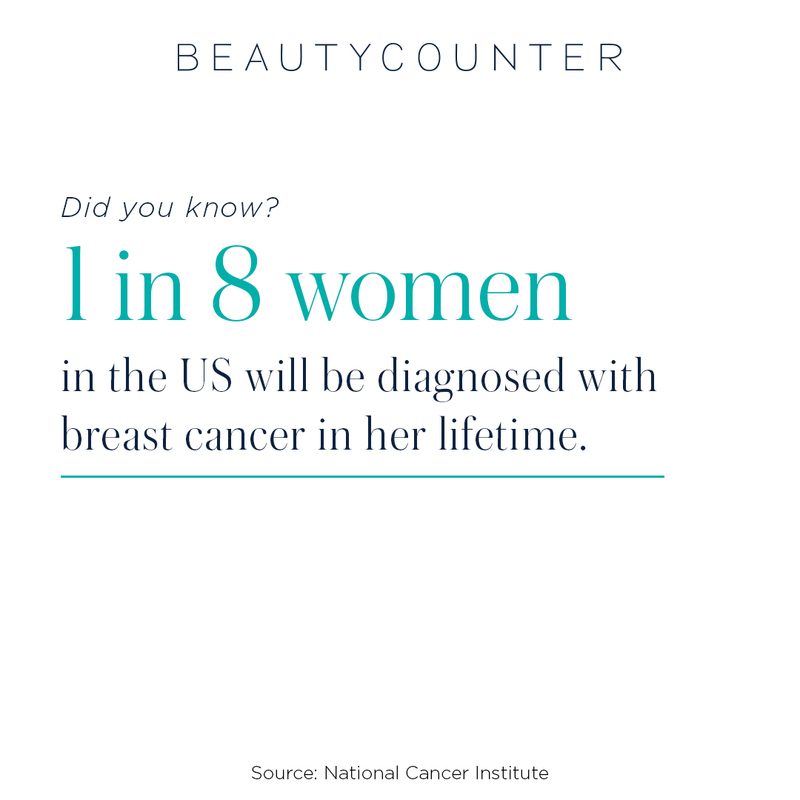 This is getting long and I haven't even really explain my real reason "why" I joined Beautycounter and am so passionate about this mission. For those of you who have known me or followed my blog for a while, know that my mom passed away in 2003, when I was just 18 and my brother was 15, from breast cancer. I was a freshman in college at the time and my brother was in high school. She battled her first time when my brother and I were 11 and 8 with breast cancer. A few years later it came back in her lymph nodes. And a few years later, it finally came back in her lungs. There was nothing they could do but make her comfortable as we waited. She never got to see me graduate college. She never got to see my brother graduate high school. She never met Seth. She wasn't at our wedding. And she wasn't able to experience the joys of being a grandmother. 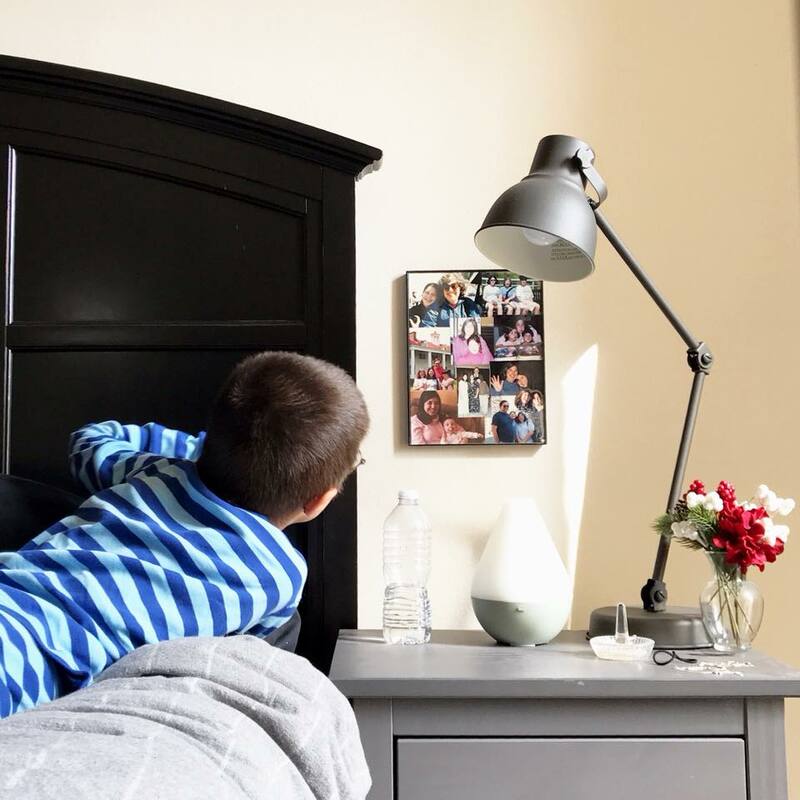 This photo collage is the closest thing that Mason has to knowing and seeing his grandmother. All of these opportunities in life were ripped away from her because of cancer. I don't want this to happen to me. I don't want this to happen to anyone. Though the pain of losing my mom so early in life has lessened as time has gone on (it's been 15 years now), there is not a day that goes by that I don't think about her. That I don't miss her. That I don't wish I could pick up the phone and call her. I know she is smiling down on me from heaven, so proud of the woman and mother I have become, but it's not the same. Every decision I make, every thing I can do to positively impact my life and someone else's life, I do for her. I've been diligent about making sure I get early detection screenings and all the blood tests I need and my blood tests came back negative for BRACA1 and BRACA2. I still don't believe it, but I've taken the tests twice and both times they came back negative. But just because genetically, I seem "low risk", I am not just going about my life in a happy, naive land. I am making changes to make sure I lower my risk as much as possible. I've even thought about having a preventative mastectomy, but thankfully it hasn't come down to that. 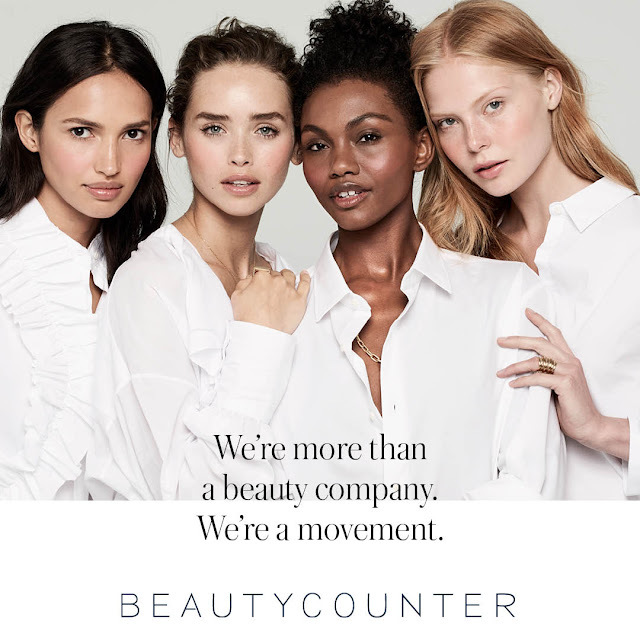 Beautycounter partners with several non-profit companies in this fight to make products safer for everyone. The first one is the Environmental Working Group, or EWG. EWG uses the power of research and information to protect public health and the environment. Their database allows you to search the safety ratings of more than 73,000 products. (I find it easiest to google "company/product name EWG" and the product rating will pop up.) Their second partner is Healthy Child Healthy World. This company empowers parents and caregivers to protect children from harmful chemicals. Their easy actions and tips help families create safer environments for children to flourish. And the partner that struck me the hardest... the Breast Cancer Prevention Partners (formally known as the Breast Cancer Fund). I've been supporting breast cancer research foundations for years (I've even done three breast cancer 3-day walks and countless Race for the Cures). BCPP strives to prevent breast cancer by eliminating our exposure to toxic chemicals and radiation linked to the disease. They are a founding member and national coordinator of the Campaign for Safe Cosmetics, a broad-based coalition working to eliminate dangerous chemicals from cosmetics and personal care products. These days everyone is so concerned with what they put IN their bodies, how come more people aren't concerned with what they're putting ON their bodies? And I'm guilt of this too. Am I perfect on this mission to use safer products and be healthier? Heck no. And I will never pretend to be. Sure I’ve made better choices for myself and my family in some ways, but just this morning I knowingly rubbed serum in my hair before I straightened it because I like the way it looks with the product in it versus without it. I ate Chick-fil-a last week for dinner and shared a milkshake with Mason. I can tell you that it’s a balance. I used to think that if I put better things in my body, I was treating it well. I was feeding my insides good food and good fuel to help them run at their best. But what I didn't realize is that my skin is my biggest organ. Things I put on it or spray on it get absorbed almost immediately into my body and my blood stream. So the aluminum in my deodorant, the chemicals hidden in the "fragrance" in my perfume, and the toxins that were loaded in my old shampoo and conditioner, I rubbed right into my skin, absorbed immediately into my blood stream, and were massaged right in to my scalp. Scary when you think about it. I know it’s a big change to switch to cleaner products and can be a bit overwhelming at times. It doesn't all have to happen over night, it can be gradual (that's what I'm doing), but I can tell you that it’s worth it. And that you have me to help you! If you're interested in learning more, click here to join my Facebook group. I promise to teach you all I know, teach you everything I've learned and am still learning about, and help you make better, smarter, more educated decisions about what products you use on yourself, your kids, and in your home. I promise you I will not try to sell you anything. I have tons of recommendations, and they aren't all Beautycounter. It’s all about education - when you know more, you can make more informed choices. I do this for my mom. I do this for my son. I do this so (hopefully) our kids generation won't have to read the ingredients on every product they buy when they're older like we do. I’m excited to begin this journey with you! Thank you for supporting me! Good for you for trying out better for your products and for becoming a consultant! 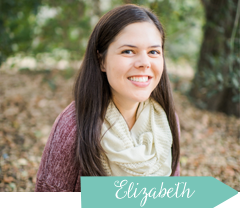 You are amazing, Liz! I know you will do great. My gramma is a breast cancer survivor & this is a concern of my own. So happy for you. So strange, after you hosted your party, I feel like BC is everywhere! I keep seeing it...I'm so excited for you and to see where this journey takes you! Congratulations! MLM-direct sales do get a really bad rep...until you find something that works and then you don't care where you buy it! I was total anti-MLM for years! Then I was introduced to Advocare and dang it, I was hooked. I used the products for awhile first before becoming a distributor. I swore I would never, ever send out an email that says "hey, girl" and then launches into a sales pitch. I share what I love and use, because I hate being "that person." Best of luck to you! !